The Healthcare industry is currently undergoing a tremendous overhaul in an effort to make healthcare more meaningful, affordable and accessible to patients. We are trying to make the utmost use of technology and have seen the introduction of many innovative concepts in the past decade to overcome this goal. We have digitized patient records and have developed channels for their communication with various medical devices to keep the records updated. Today all this is possible but only if the patient is physically present in the healthcare setting, near the medical devices used for monitoring his/her vitals. This is because these devices are usually very large and difficult to be carried everywhere by the patient. As a result the patient cannot be monitored effectively when away from the healthcare setting. But as the technology is becoming more and more compact, it is now possible to incorporate these devices within the expanse of a wrist watch. Why is wearable technology required? Today wearable technology plays a vital role in remote patient monitoring. It enables constant monitoring of the patient vitals and data collection, thus allowing the providers to look at data over a period of time and understand the patterns of patient behavior. One of the keys to improving health of a patient is a deeper understanding of the patterns of his/her behavior and vitals. Wearable technology acts as an additional source of information apart from the events narrated by the patient and the symptoms experienced for concluding the diagnosis of the patient. Such applications are particularly useful when the patient is at a remote location or may not be able to directly provide information to the physician, such as with children, the elderly, or those battling mental health issues. To realize its full potential, wearable technology in healthcare has to cross the boundary from consumer electronic devices to regulated medical devices. Regulated wearable devices can be relied upon to provide accurate data and can potentially be integrated into patient health records. The regulatory framework that exists for the approval of medical devices though is quite robust it has proven to be challenging for many startups to navigate. As a result, they have chosen the option of providing wellness tracking devices that can be marketed as consumer electronics, rather than as medical devices under the jurisdiction of the FDA. A wearable healthcare device basically performs the task of sensing vital information from a patient’s body and storing or transmitting the findings to the patient’s health record. The vitals of a human body can be captured by various sensors which are incorporated in the wearable device. After sensing the data from patient contact a constant stream of data is sent by the wearable healthcare device either in the form of signals or standard communication formats such as HL7. If the data stream is received in the form of signals it has to be first converted into an appropriate format which can be interpreted easily. Automated tools can interpret and highlight any anomalies and communicate the data to a remote location quickly, so that the providers can initiate early preventive and corrective interventions. The devices or sensors are allocated with unique identifiers, which can be used to link the sensed data to a particular patient. Because of this, the providers can also use the data from wearable devices to identify patients and make sure that they are fully compliant with their care regimen and track their improvements, avoiding unnecessary office visits. The data thus obtained can also be incorporated in an EHR and a graphical view of patterns of relevant patient vitals can be obtained. This will help physicians to improve the overall health of the patient and thereby reduce healthcare costs. Though we have seen some watches that display our heart rate these cannot be classified as wearable health technology as these results are not reliable and cannot be incorporated in the patient’s health record. To overcome this, an array of frameworks and standards are being developed for wearable technology by some of the IT giants. 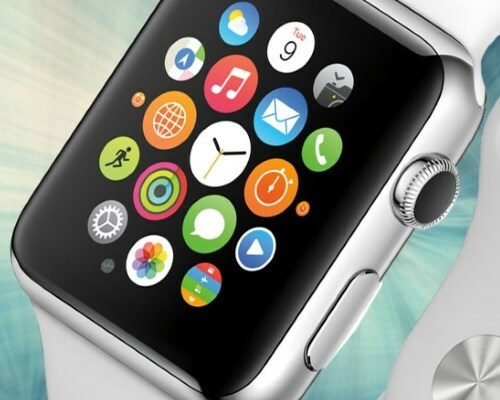 A wide variety of devices are being added daily to the arsenal of wearable technology. Samsung introduced its SAMI health platform in late May 2014 to enable interoperability between wearable devices. Samsung’s Simband is a hardware reference design which can be used as a standard for installing various sensors and communicating data to remote healthcare platforms. More recently, Apple’s HealthKit product announcement is an effort to position Apple as a platform for enabling wearable health applications. It can be used as a platform to which various sensors can communicate their data. Google Glass is a ground breaking invention that can provide a heads-up display to the providers. Such devices can be used by surgeons during surgery to keep track of patients' vitals without taking their eyes off the operated area. It can also be used for recording videos directly by the provider while performing procedures which can be used for educational purposes and telemedicine. From these examples and my experiences in similar projects I have learnt that the approach for developing such solutions needs to be highly standards driven. In this period I have learnt that the approach for developing such solutions needs to be highly standards-driven. This not only helps in producing a quality product but also ensures that the solution remains interoperable, scalable and compatible over a large number of platforms and for a longer period of time. To build a viable solution it is also necessary to consider factors such as technology, standards and healthcare laws and regulations while designing the solution. Foreseeing the demand of wearable technology in healthcare, a lot of research is already underway for building concrete solutions. So if you are amongst those few, having innovative ideas in the wearable healthcare technology space, today’s times may just be the best time to materialize your ideas.